We believe that the mission of the Nisshinbo Group is to contribute to human society through our business and to grow together with society. 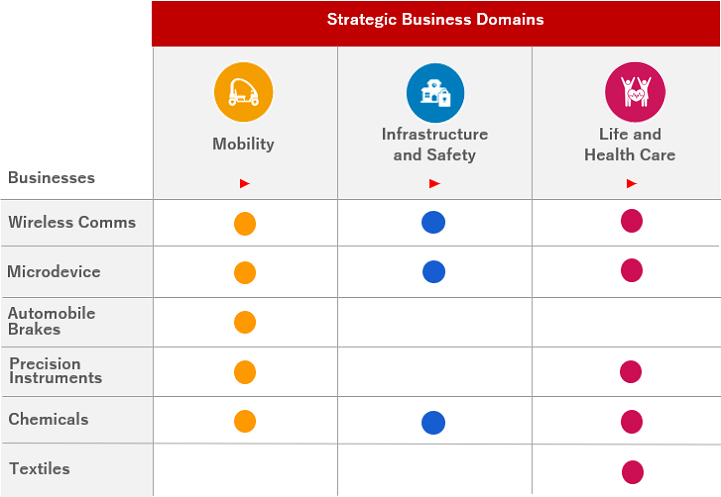 We have stipulated Mobility, Infrastructure and Safety, and Life and Healthcare as our three strategic business domains. As an Environment and Energy Company group, we will aim to achieve further growth by pooling our resources behind the driving force of ceaseless innovation.